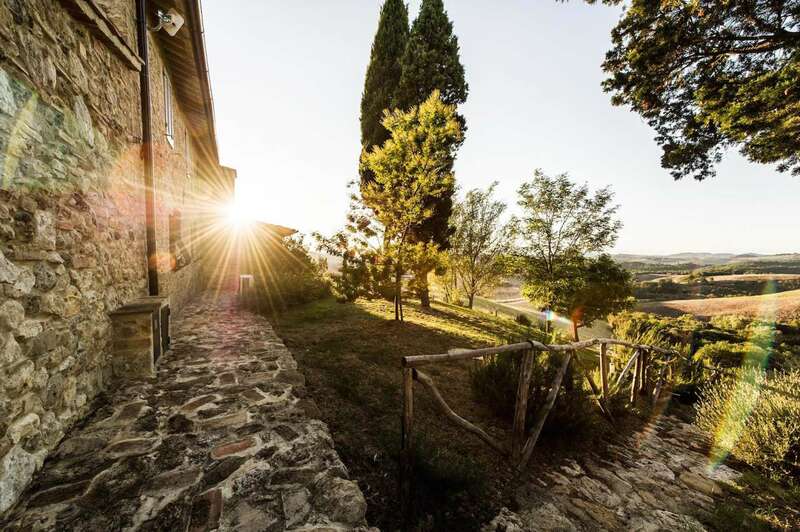 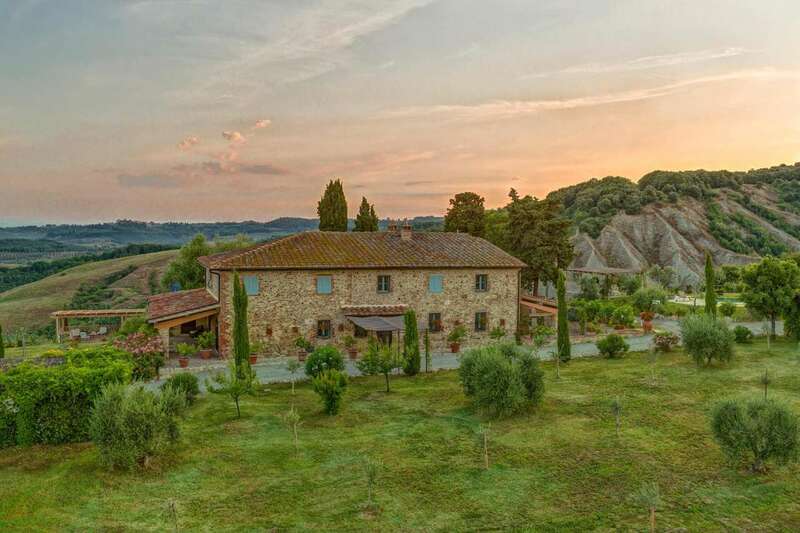 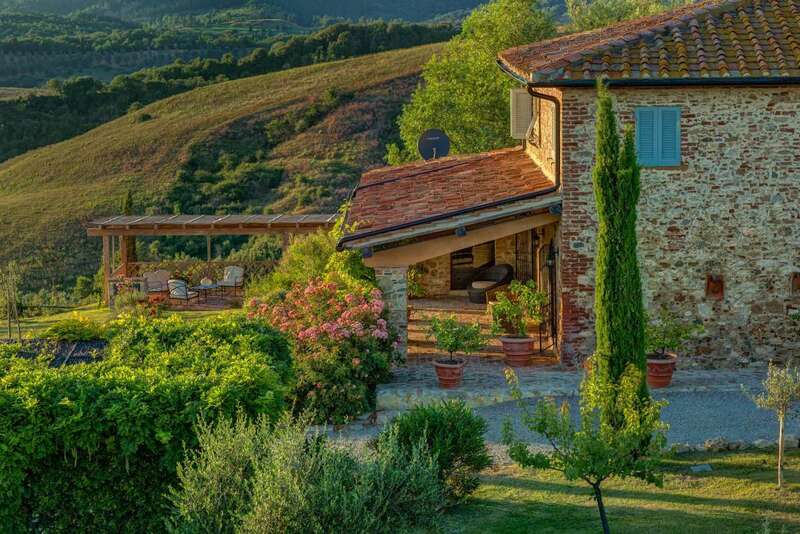 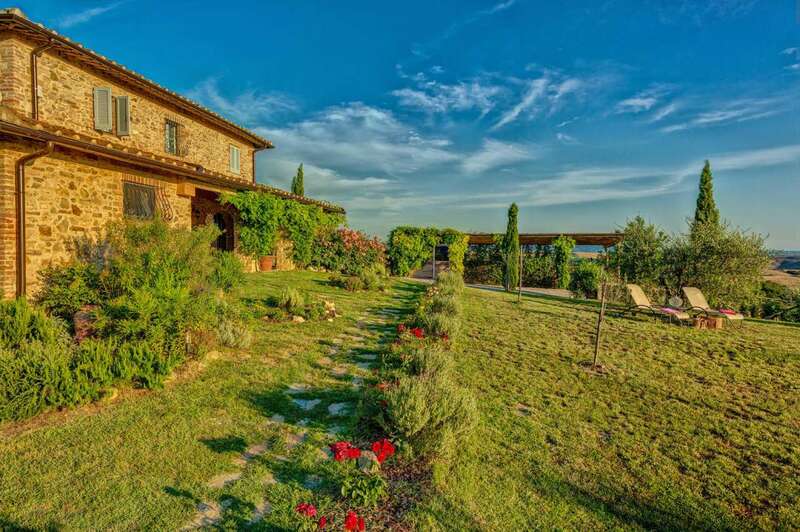 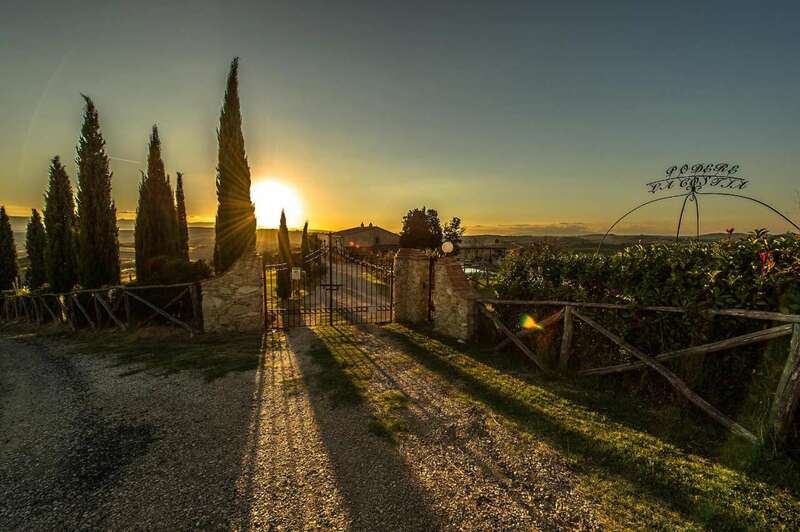 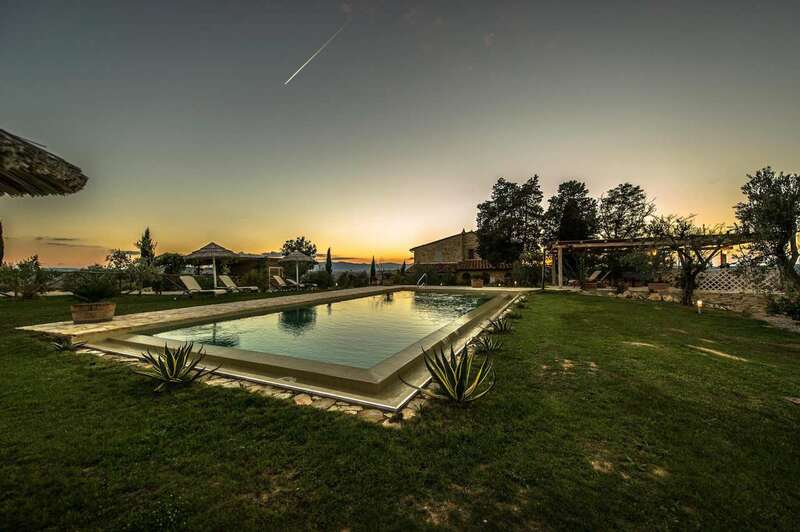 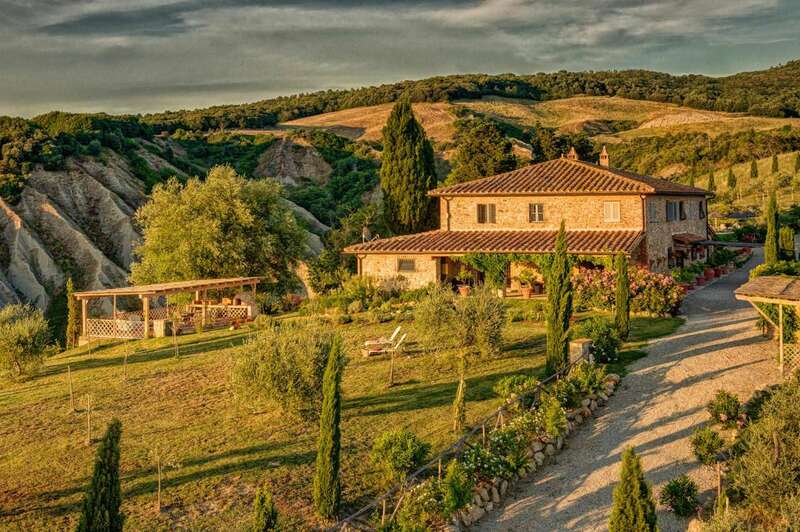 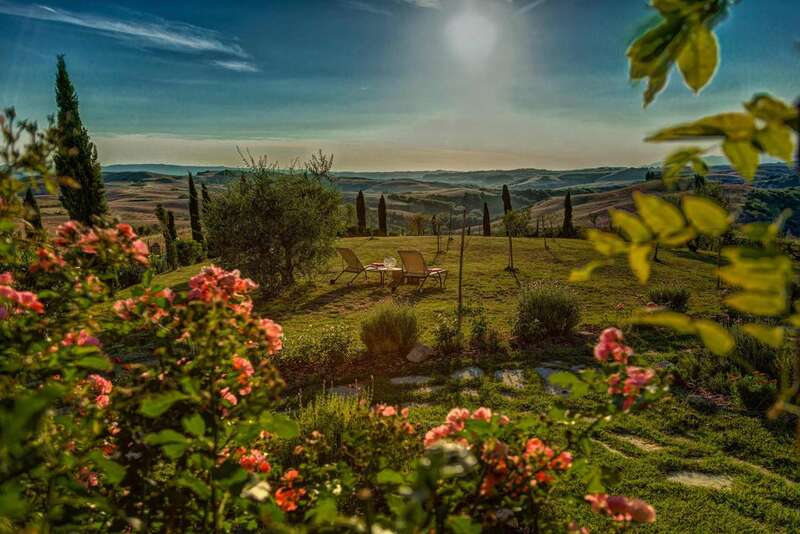 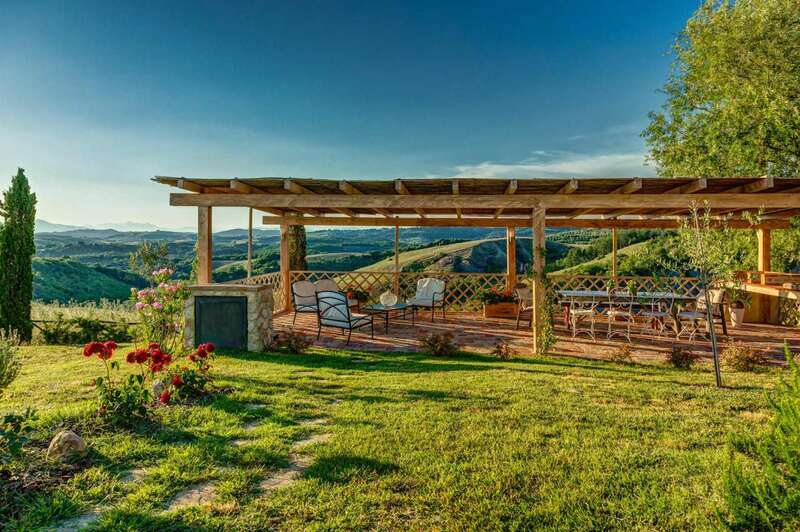 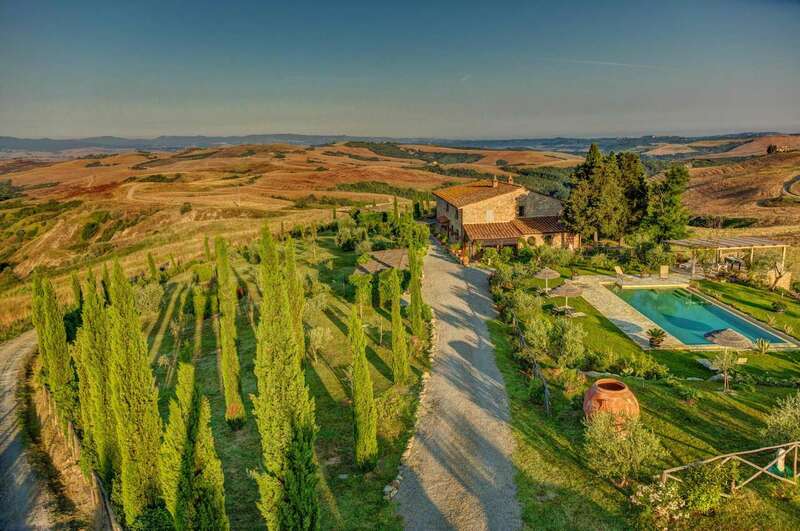 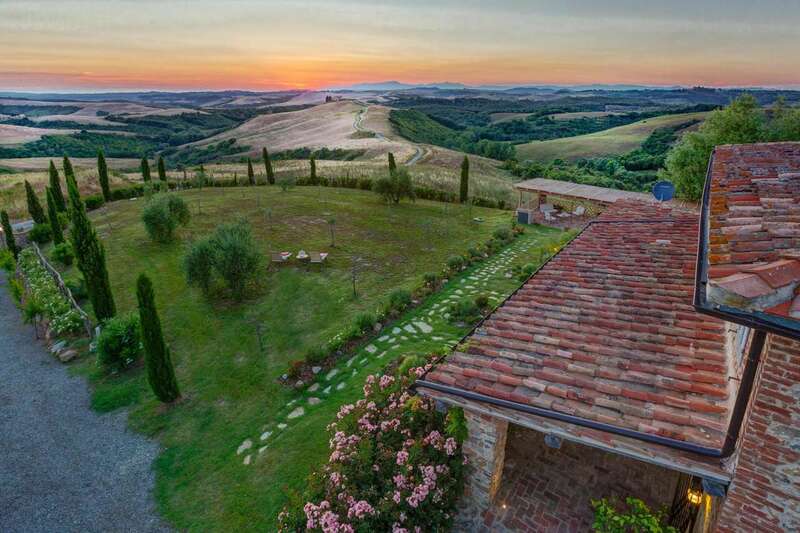 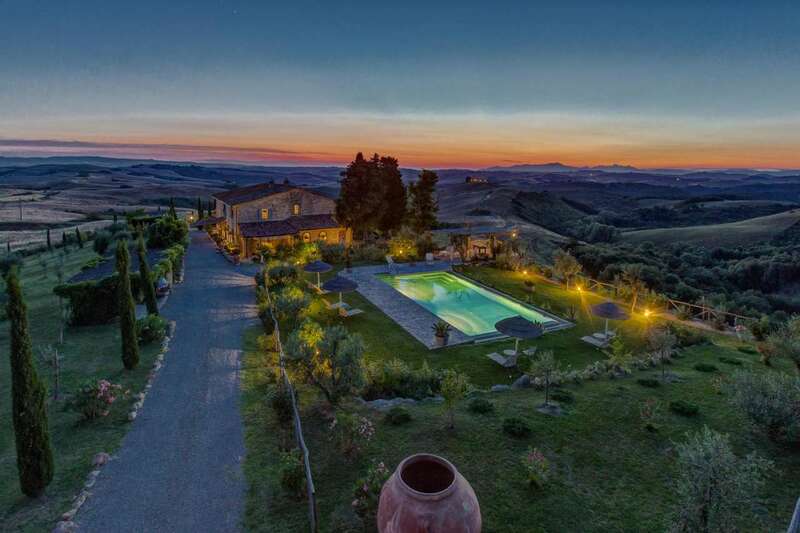 Close to the village of Montaione, at the end of an unpaved road, among the picturesque hills of the Tuscan countryside in the province of Florence, this beautiful country villa stands on one hectare of land with 300 olive trees and swimming pool. 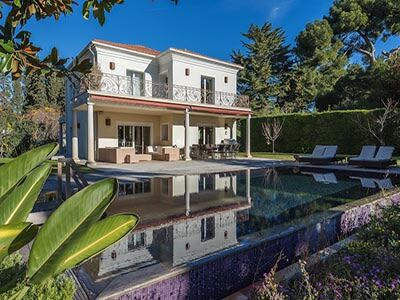 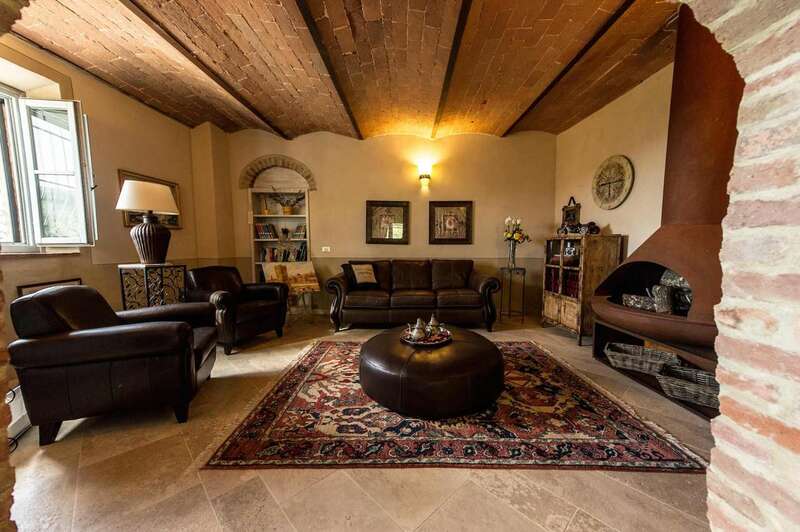 This villa comes with approximately 550m2 of living space and is divided into two apartments, with separate entrances but with easy communication between the two if desired. 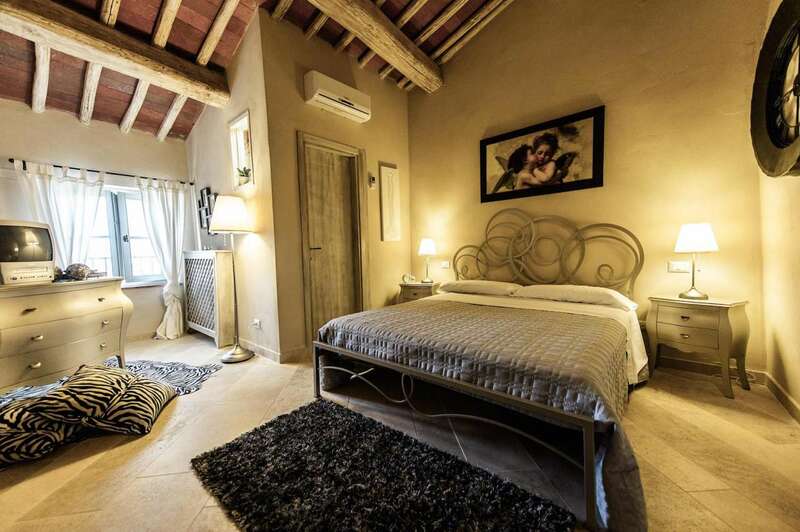 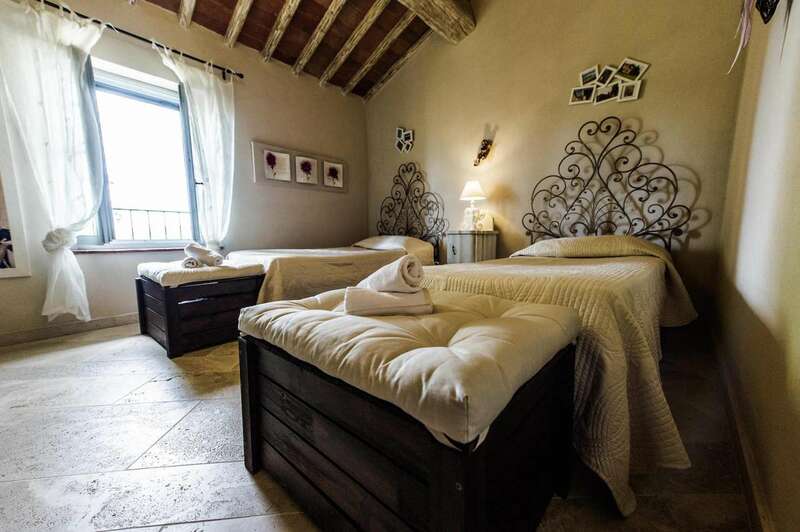 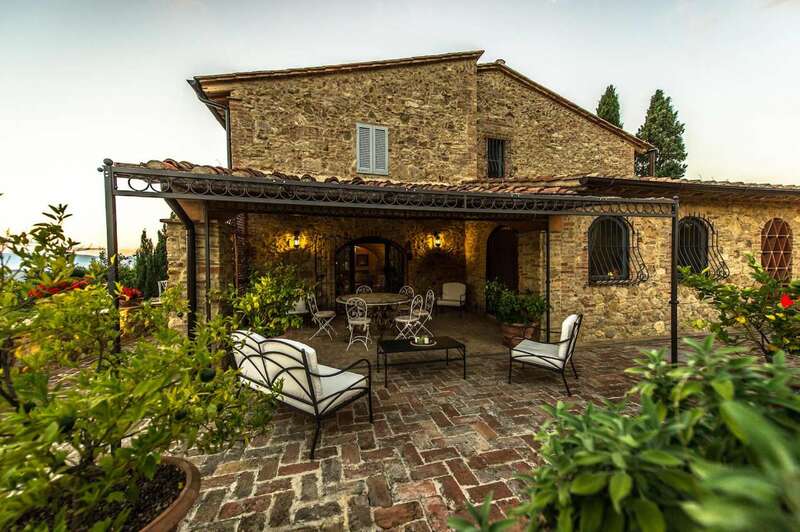 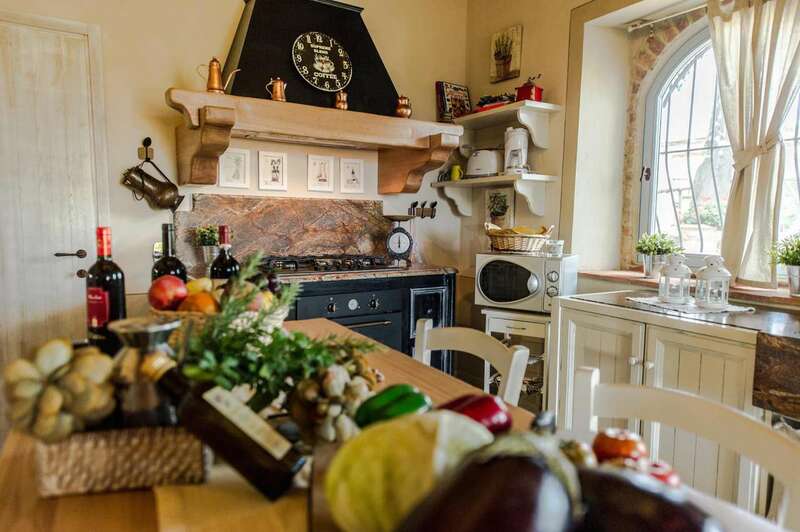 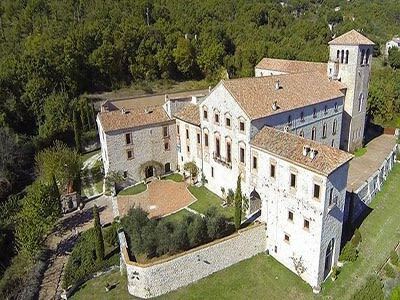 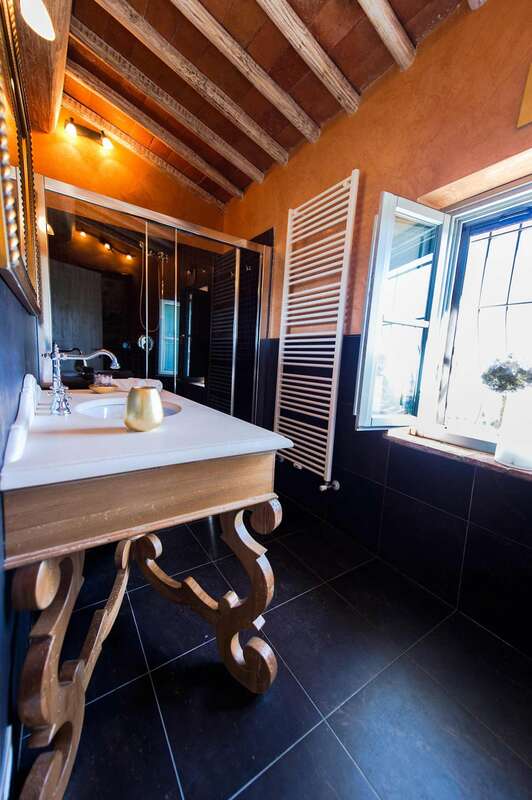 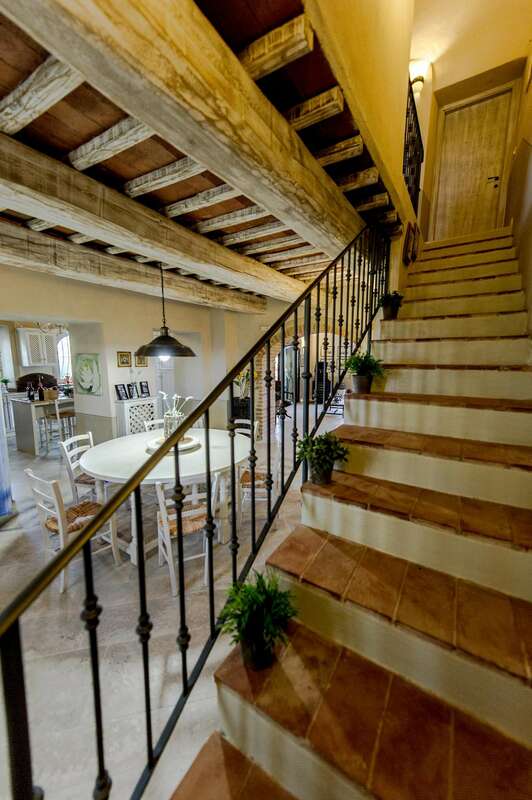 The property has both an antique and modern touch: one of the wings is furnished in a traditional Tuscan style, while the other has stunning modern decor. 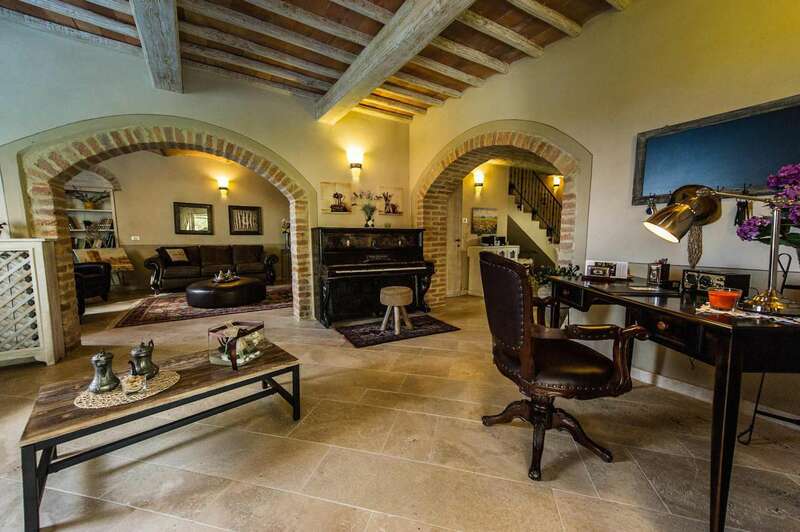 Upon entering the modern wing, one enters a main hall with an unusual white pool table, which is connected to the living room with fireplace, the dining area with kitchen and the sitting area. 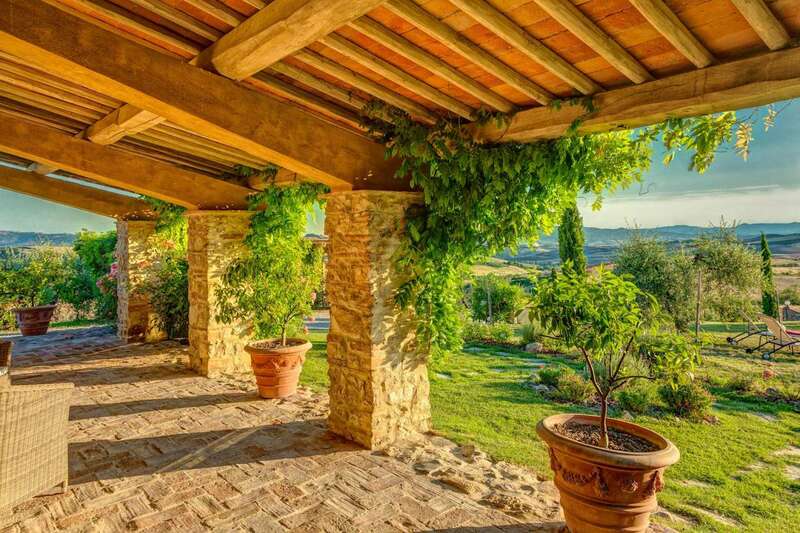 Connection from one wing to the other is through masonry arches and both areas are extremely light, characterised by design elements, especially in wood and all in bright colours. 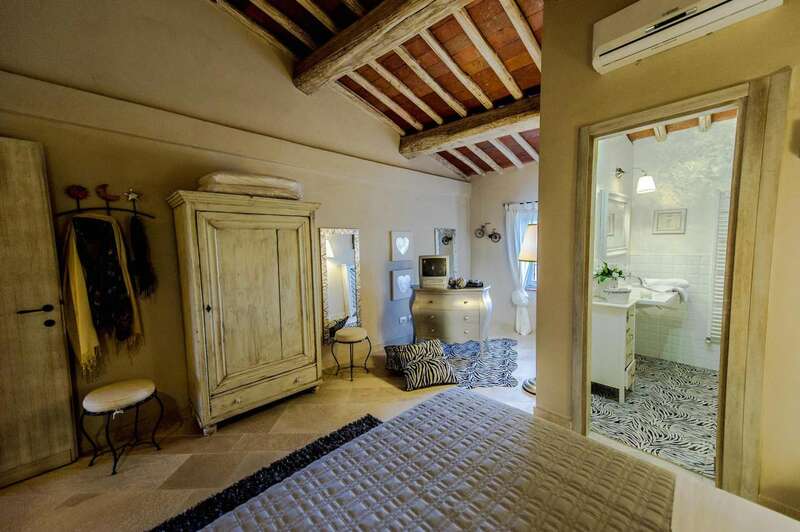 In the relaxation area you will find some fitness equipment, a Jacuzzi and a bathroom with shower; with the choice of two staircases to reach the upstairs: an ancient pre-existing one and a new one. 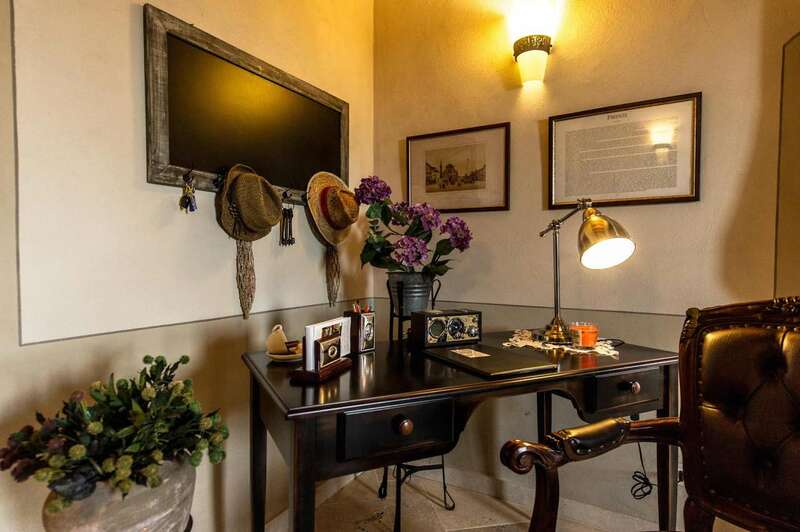 On the first floor there is a study with a sofa bed and a room now used as a storeroom, enclosed by a bookcase, but from which you can create an access to the other apartment. 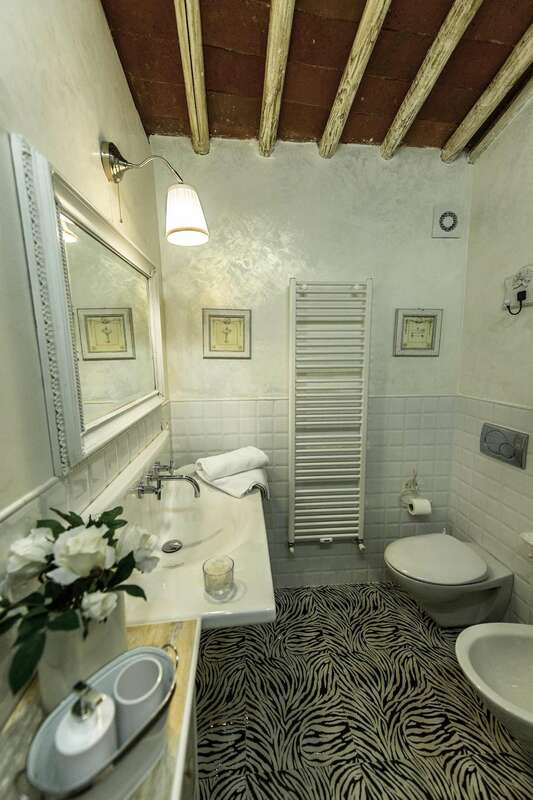 There are 3 bedrooms, two with en-suite bathroom and the other with a separate bathroom. 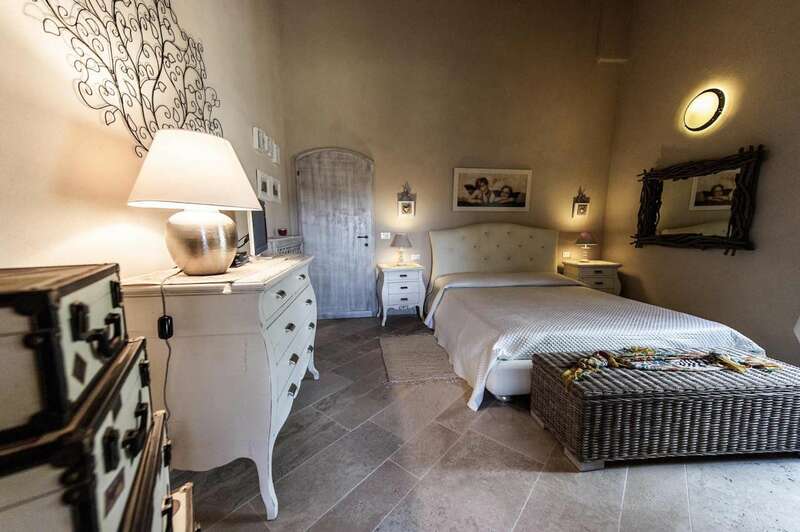 Each room upstairs has different furnishings and decorations on the walls, but the style is uniform, modern, refined and perfectly studied in every detail. 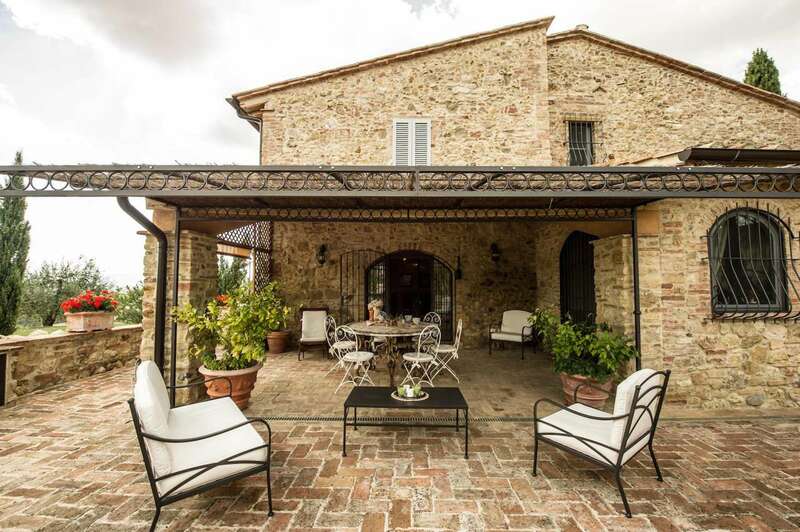 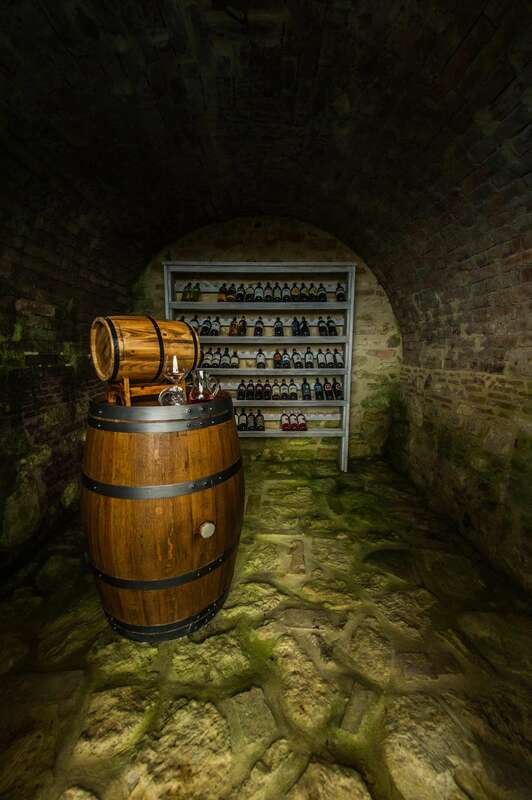 There is also a laundry room located outside and the first floor also features a veranda with sofas, a table for 12, barbecue and a pizza oven. 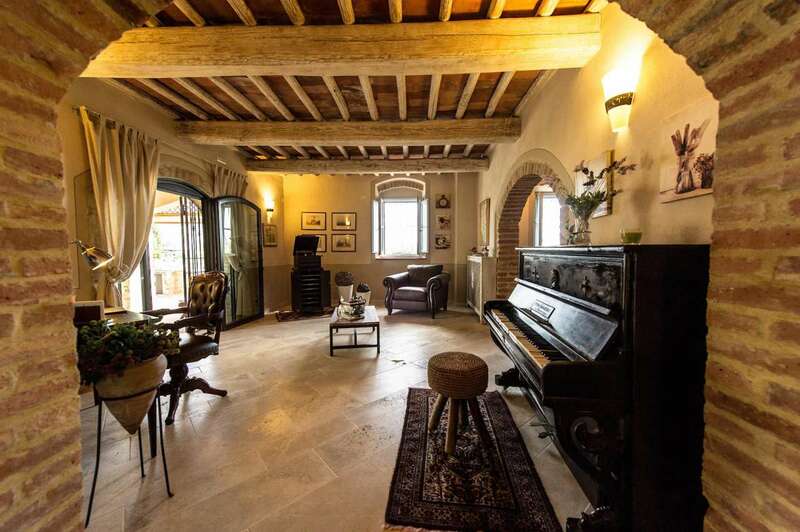 Upon entering the Classic Wing, you are immediately welcomed into the living room with a desk and a beautiful piano; connected a masonry arch corridor with fireplace and to the dining area with kitchen. 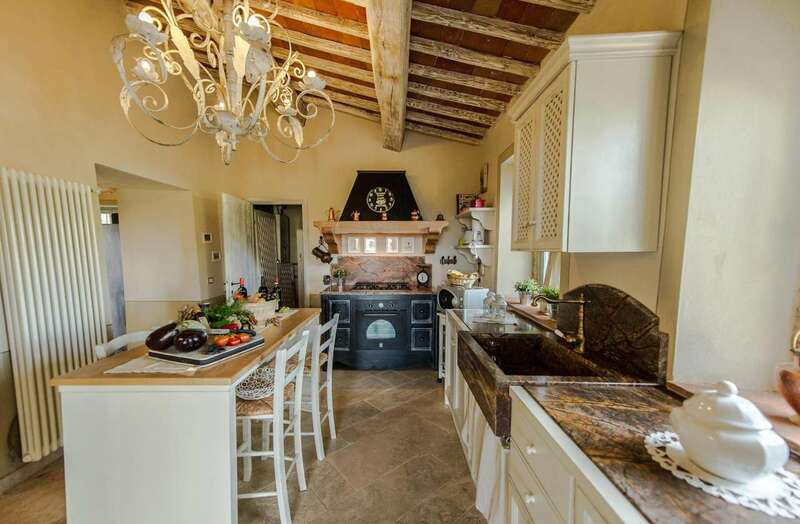 The furnishings are darker than in the modern apartment, but very elegant, embellished with marble and copper elements. 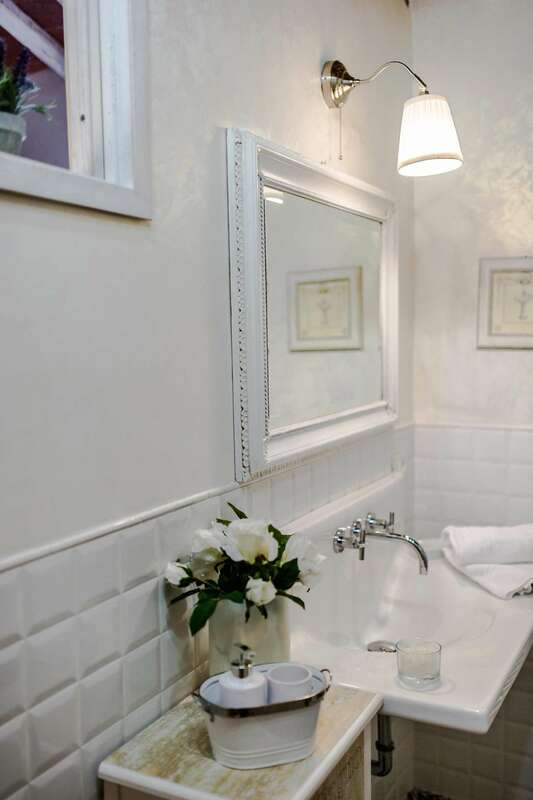 Unlike the modern wing, the laundry in use in this apartment is inside, on the ground floor. 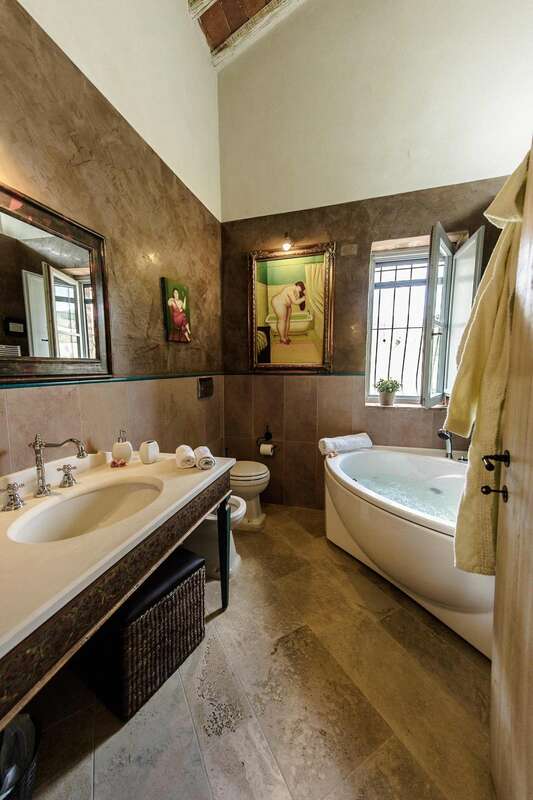 There are 3 bedrooms upstairs, two with private bathroom and one with a separate bathroom. 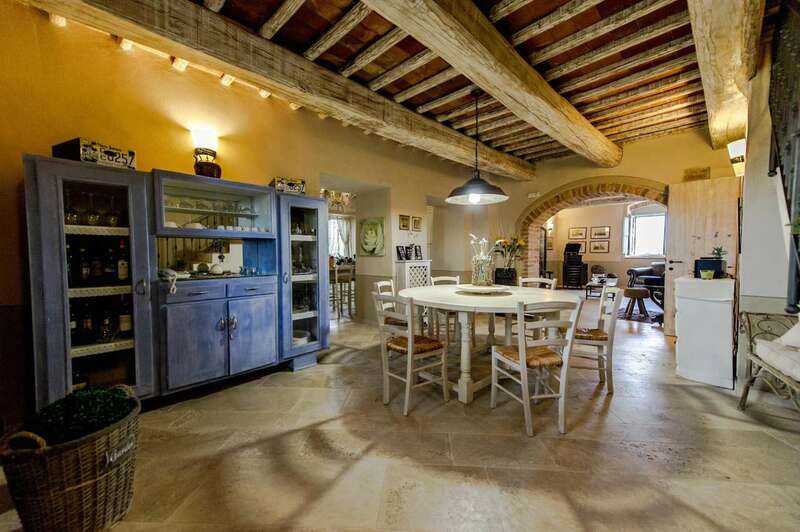 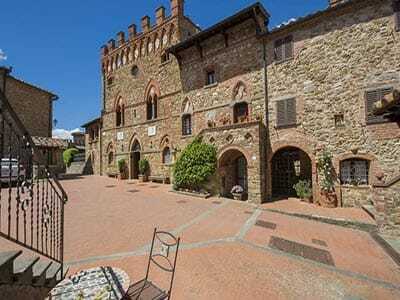 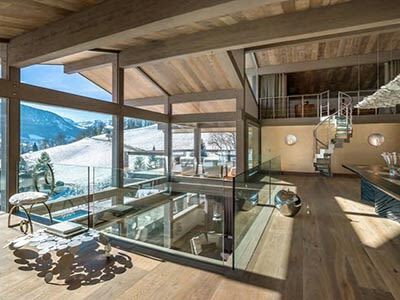 The entire structure is characterised by pale wooden beams on the ceiling and the exterior is entirely made of stone. 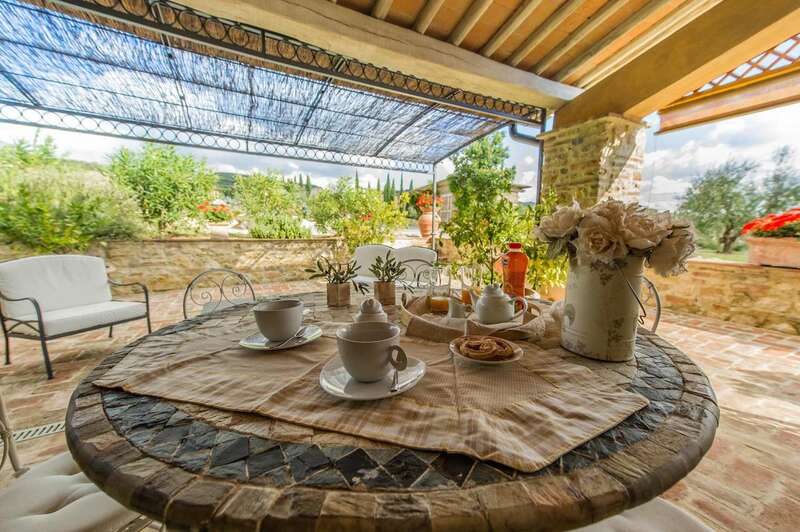 Each apartment has a veranda on ground level, habitable and equipped, located one on each side of the villa. 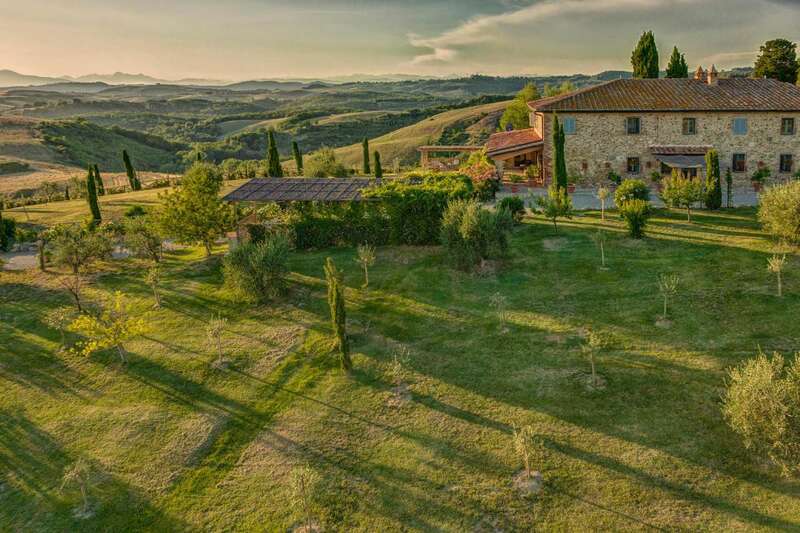 The owned land is approximately 1 hectare. 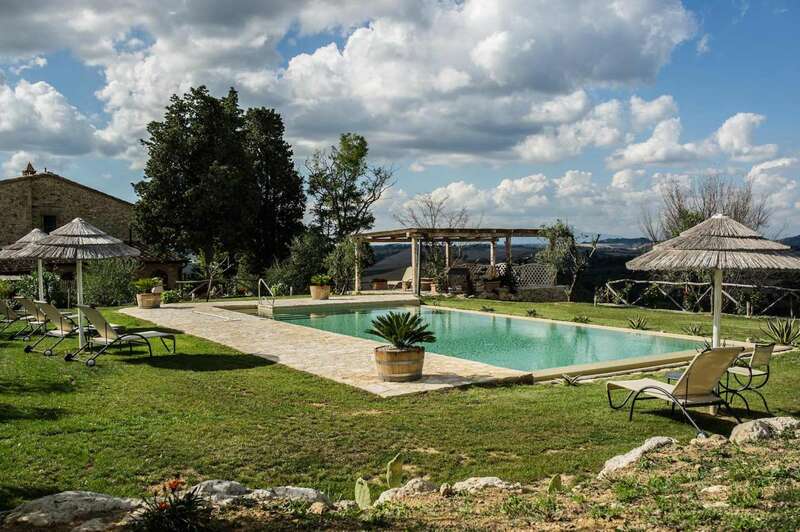 In the garden there is a swimming pool, a private well and a gazebo equipped with table football and some gym equipment. 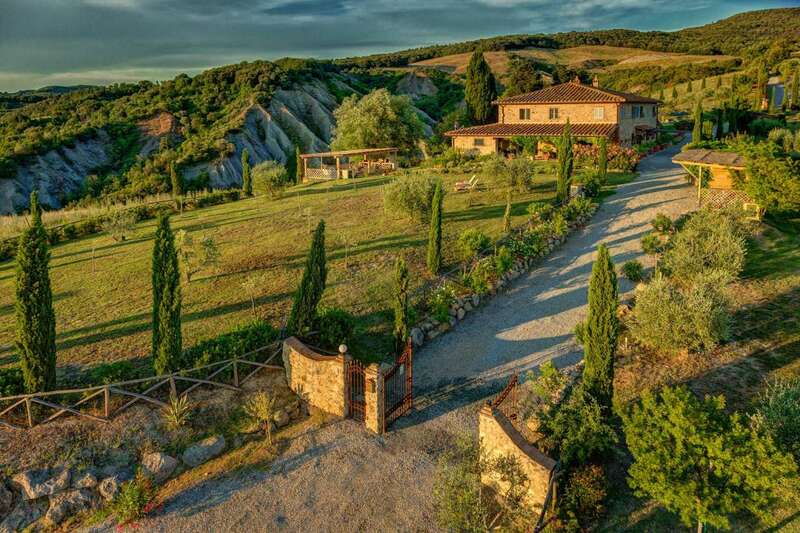 There are also 300 olive trees and 5 car parking spaces.